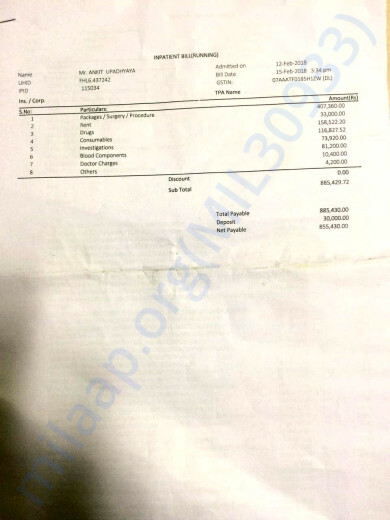 Ankit Upadhyay, 24 is B.Sc. 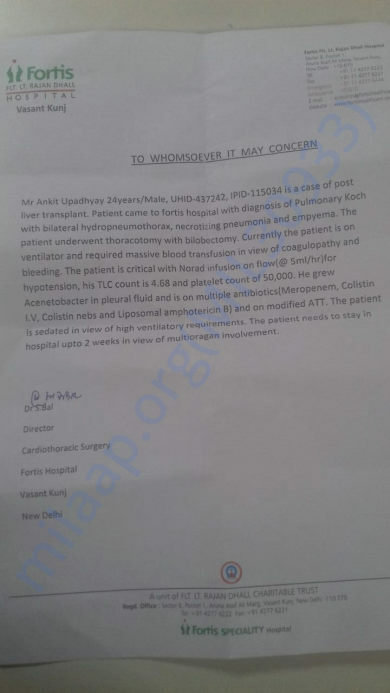 3rd-year student at Banaras Hindu University, He is suffering from very deadly Wilson's disease which is a rare inherited disorder that causes copper to accumulate in patient's liver, brain, and other vital organs.Currently, he is in ICU of Fortis hospital Delhi for continuing his treatment he requires 20 lakh rupees. his Father Mr. Anil Upadhyay is a guest lecturer in Mahatma Gandhi Kashi Vidyapeeth, Varanasi. 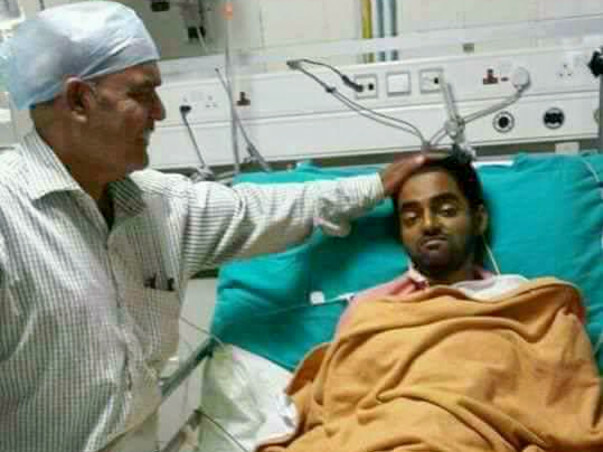 He is only bread earner of the family, He has already spent over 50 lakhs for treatment and Ankit's liver transplantation in ILBS hospital, Delhi but again Ankit is in a critical situation and his father is not in a condition of paying the treatment amount. 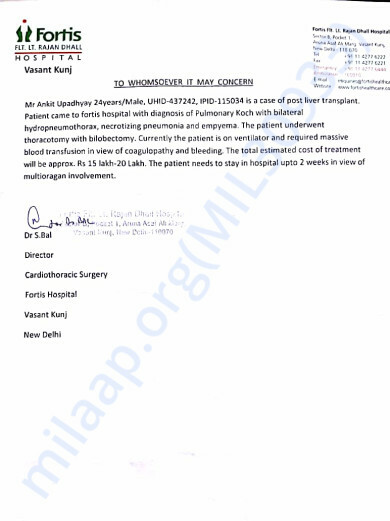 Kindly contribute as much as possible to help Ankit fight with wilson's disease and share with your near and dear ones. Your small effort can save a life. Thanks everyone for your support and prayers. We tried our best to save Ankit but unfortunately God had decided something else for him. On 26th evening he passed away.